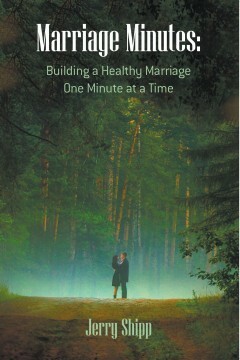 Husbands and wives in an unhappy marriage inevitably find themselves on the horns of a dilemma. While part of them is unable to continue to hold on, another part of them is unable to let go. In the terms that To Divorce or Not to Divorce puts it, they are unable to decide whether to go forward and end their marriage by getting a divorce or to go back and attempt to work on the problems in their marriage in an attempt to save it. That is their dilemma, and they will commonly remain frozen in indecision not only for months on end but often, for many years. 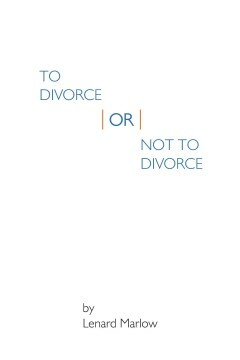 It is the purpose of To Divorce or Not to Divorce to help those locked in such indecision to resolve their conflict by answering this question. Moreover, it is anticipated that they will be able to do that by the time they finish reading the book. Why do husbands and wives have such difficulty making this decision? More importantly, why do they so often feel that the mental health professionals to whom they turned for help were not able to help them? It is the thesis of this book that the answer to both of these questions is the same. They and the mental health professionals to whom they turned to were asking the wrong question. In the terms that To Divorce or Not to Divorce puts it, they were lost because they were using the wrong road map. It was a road map that caused them to focus their attention on the symptoms of their problems rather than on their cause. The books purpose is to give them a better road map, one which will encourage them to ask the right question and, in doing so, resolve their conflict. That is the burden of part I of the book. Part II is intended to help them once they have made that decision. Whether they decide to go forward and end their marriage or go back and address the problems in their marriage, they are going to need help. All too often, however, the help that husbands and wives get, whether from lawyers or from mental health professionals, doesn’t help. On the contrary, it only makes things worse. The burden of part II is to enable them to avoid this. Lenard Marlow, a graduate of Columbia Law School, spent more than fifty years of his professional life helping husbands and wives address personal and practical problems that they found themselves faced with as a result of their decision to divorce. His experience is unique in that in that he worked both as a traditional divorce lawyer (he is a fellow of the American Academy of Matrimonial Lawyers) and then, for the last thirty-five years, as a divorce mediator (he is the past president of the New York State Council on Divorce Mediation). He has lectured and put on trainings on the subject of divorce mediation throughout North and South America and in Europe. He has also written many books on the subject for the general public (including The Two Roads To Divorce and Common Sense, Legal Sense and Nonsense About Divorce) as well as for the academic legal community and the divorce mediation community (including Divorce Mediation: A Practice in Search of a Theory and Divorce Mediation: A New Vision of the Law).